Ken Boyer was the Captain of the St. Louis Cardinals. Modest and steadfast, he was a role model whose firm but reassuring demeanor earned the admiration and respect of his teammates Boyer was among the elite third basemen of his generation. He was a durable athlete in the field who provided consistent production at the plate. 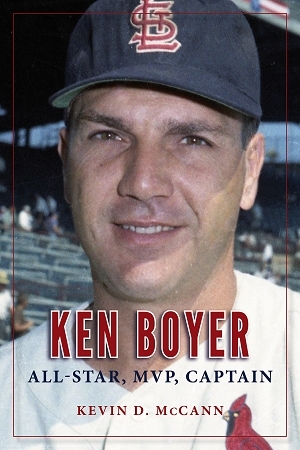 A 15-year major-league career produced 11 All-Star Game appearances, five Gold Glove Awards, a Most Valuable Player Award, and a World championship with the Cardinals in 1964 Ken Boyer: All-Star, MVP, Captain is the first full-length biography of this underappreciated star of baseball’s Golden Era.